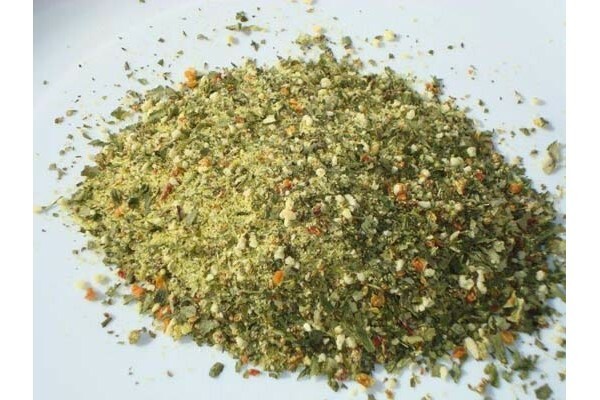 Fish Sprinkle is the perfect flavouring to add to any seafood dish. Salty, Lemony & Tangy. Can be used as a sprinkle or rub. Add generously to Seafoods prior to grilling, sauteing or Frying. Or add a little Olive Oil to create a marinade before cooking. Sugar, Salt, Wheaten Corn Flour, Dehydrated Vegetables, Herbs, Rice Bran Oil, Spices, Vegetable.